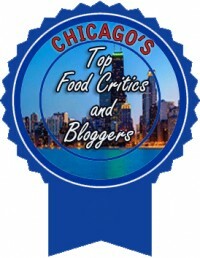 Of course I consider myself lucky that people are sending me their beers in the hopes that I’ll mention them in this blog. I’m also lucky that Lagunitas has been sending me “repeats” of their seasonals that I’ve already talked about. But this is a new one. 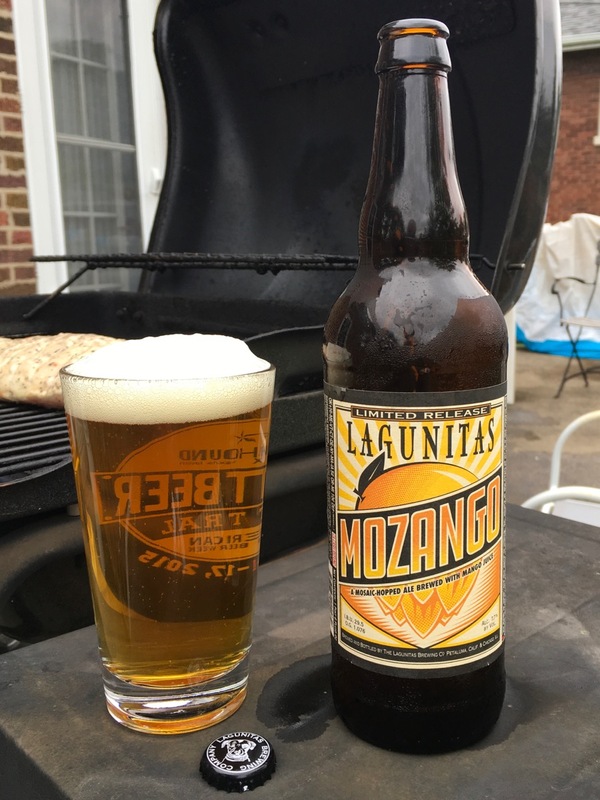 Mozango is described as a “Mosaic-hopped ale,” without the words “Pale Ale” or “IPA” mentioned on the labeling. And indeed, it’s got a mild 29.5 IBU, but a somewhat strong 7.7% abv. What it’s also got is a pinch of Simcoe hops, and a finish with fresh mango juice. So let’s make with the bottle popper while I’m grilling this cool weekend evening. And the mango is pretty upfront as I pop the cap. I pour it to kick up a big head of foam, which helps bring out more of the nose. It’s a pretty bright, clear orange color, what I’ll imagine lots of mango juice would look like. The foam is pretty sudsy and leaves remnants clinging to the side of the glass. The Mosaic hops, though, are what comes out first when I taste it. A lot of pine and a little bit of earthiness. Had I not smelled plenty of mango at the start, I might have thought the mango I was tasting was a part of the hop profile. I’m back. I had to shift my grill around a bit because every time I opened it to check the meat (a marinated pork loin from Aldi), the wind would blow the fire out. So, this beer still has the hoppy bitterness you’d expect from a West Coast brewer. Yet the total package is pretty smooth and easy. I suspect the mango juice and elevated alcohol level are helping to mellow it out. Mozango was originally part of Lagunitas' Fusion series, usually a one-off ale made in collaboration with homebrewers or other breweries. This one was first made in 2015 as a collaboration with Lagunitas' Chicago brewery and brewers from our sister city of Milan, to commemorate the 42nd anniversary of their Sister City status. This is its first release on retail shelves.